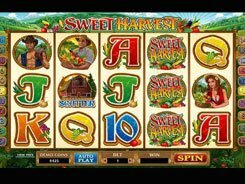 This is a classic 3-reel slot with a single payline featuring a wild symbol and a 5000-coin jackpot. The symbols include (in ascending order from the lowest paying to the highest paying) bells, single bars, double bars, triple bars, lemons and oranges. 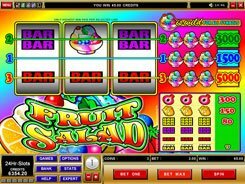 There are two adjustable options available for a player: a coin value ($0.25 to $5), and the number of coins per line, per spin (one or two). 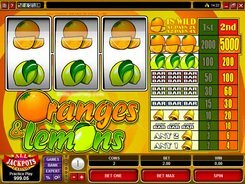 The Orange is the biggest payer in the slot that awards up to $25,000 on a two-coin bet. 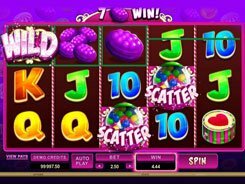 Hitting the same combo on a one-coin bet will award you with up to $10,000. Besides, the Orange serves as a wild substituting for other symbols if that will make up a winning combo. One Orange used to complete a winning combo will double the payout for that combo. 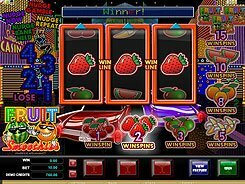 Two Oranges used to complete a winning combo will quadruple the payout for that combo. 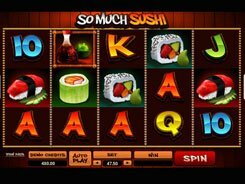 Being a purely classical Vegas-style slot, Oranges and Lemons do not have scatter symbols and bonus rounds, yet decent payouts, easy rules and a wild multiplier make it an alluring option for all slot enthusiasts. PLAY FOR REAL MONEY!